Addicting Info- By Stephen D. Foster Jr.
During an appearance on Fox News on Wednesday, Sarah Palin told Sean Hannity that President Obama wants America to be as it is was before the Civil War. This comment was part of an overall conservation about the not-so controversial “secret” Breitbart tape of a college age President Obama introducing Professor Derek Bell at a Harvard rally. Sarah Palin is getting a lot of attention lately and she hasn’t even officially declared she’s running for anything. 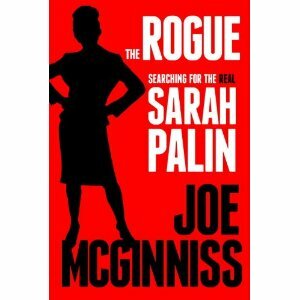 She’s the subject of a new biography called “The Rogue: Searching for the Real Sarah Palin” by Joe McGinniss, who famously (or infamously depending on your point of view) moved in next door to the Palin family in Wasilla, Alaska while he was working on the book. The book, due out Sept.20, is being slammed and celebrated for its incendiary allegations about Palin’s personal and political life. Sarah Palin is the mastermind of a dark conspiracy to punish an Alaskan citizen who dared to speak out against her over the traffic situation in Juneau — this according to a lawsuit obtained by TMZ. A man named Theodore Thoma claims he had a serious issue with traffic in the neighborhood surrounding the Governor’s Mansion back in 2009 … back when Sarah was the Gov. In fact, Thoma claims he proposed state action to solve the problem and even made up signs and fliers to push the issue. But Palin didn’t take kindly to the criticism, says Thoma, and she “undertook a campaign against [Theodore] … to punish, embarrass, discredit and silence” him. It’s unclear what she did … but according to Thoma’s suit, Palin’s actions have caused a “chilling” effect on his ability to exercise his federal constitutional rights. Thoma wants Palin to fork over more than $100k for all of the harm she’s caused. Calls to the Palin camp have not been returned. Submitted by mark karlin on Wed, 04/20/2011 – 9:32pm. Why do Tea Party rallies get so much media attention, even when their gatherings appear to be shrinking in size? That is because the corporate mainstream media has a bias toward covering protests from the right, but virtually ignores progressive crowds.  This was recently evidenced by the scant national coverage given to the unprecedented anti-Scott Walker protests of up to 100,000 people in the relatively small city of Madison. So, when Sarah Palin appeared in Madison on Saturday, April 16, it was not surprising that CNN described her as “energizing” the crowd, even though she could barely be heard much beyond the “feed” mike – the boos and chants of disapproval were that loud from the protesters. There were about 1,500 tea partiers, many bused in by Americans for Prosperity, the rightwing group funded by the Koch brothers. In fact, Thom Hartmann points out in a television report that Andrew Breitbart (former Drudge protege and current right-wing “pundit” and provocateur) was so incensed by the chants of the protesters that he shouted, “Go to Hell!” (three times) at them from the podium. And that was before Palin even spoke. Hartmann also trenchantly dissects how the corporate media frames its reports to give an inaccurate account of events with a slant that favors the right wing and status quo. But you wouldn’t know that from watching the cable or evening news.